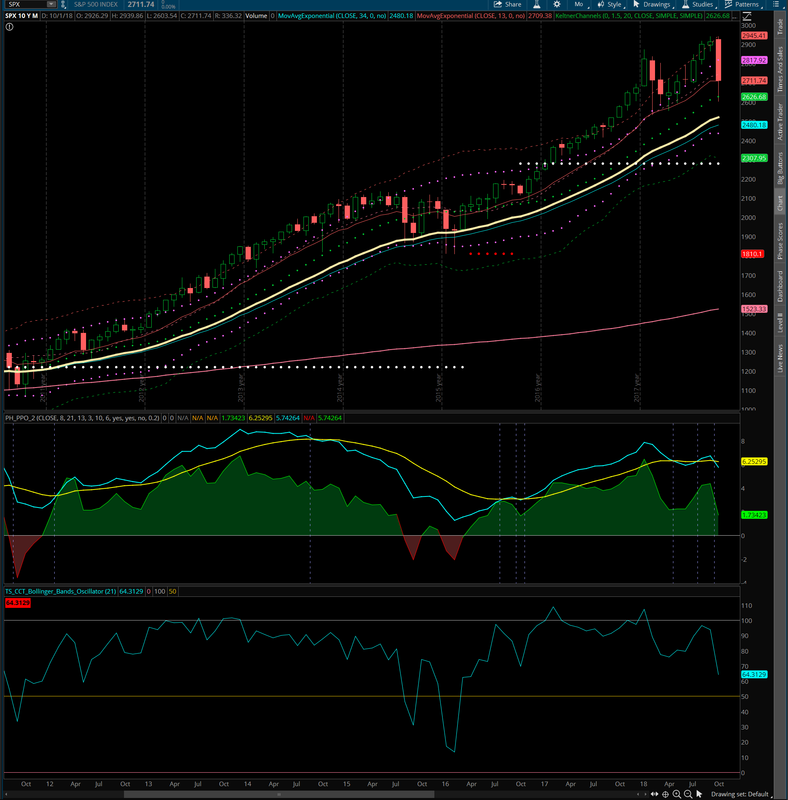 The S&P 500 monthly closed in the upper Keltner channel. One of the monthly oscillators is showing a possible sell signal, however it may also be a consolidation signal. Despite all the panic in the news about the decline, the monthly outlook is neutral to bullish.